"Approaches to Test Data Provisioning for Increasing the Test Efficiency"
- Scenario-specific test data availability before test execution increases test efficiency/quality and reduces overall testing cycle time. - Realistic test data in lower test regions reduces production defect leakages. 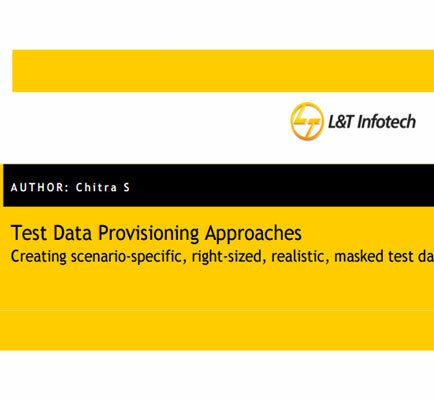 - Right-sized test data in test environments reduces space utilization and increases the response time.